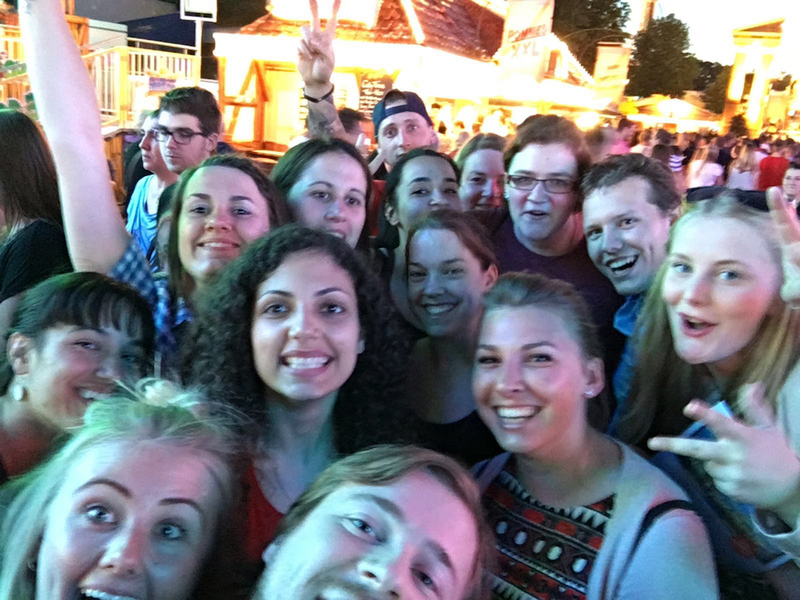 On April, 30th, the 29th Residenzlauf (Residence Run) took place, and 4 of our volunteers and Manu (and also Jubi’s janitor, Andy) participated in it. Leila, Andromachi, Juan and Shïma ran for 10 km around the Residenz, while Mattia and I took photos and cheered them on. I haven’t written about it in a while, but we, the volunteers, are still regularly meeting. In September we went together to the fortress above Würzburg, at the beginning of November volunteers from Unterfranken came for the EVS Jubilee that we celebrated in the Jubi, in December we’ve met shortly before Christmas for a nice brunch and gifts exchange, and now for a short workshop (during which we also welcomed Hadeel, new volunteer from Egypt, who is now starting her project in the Montessori school). In November we had two big events in the Jubi: EVS Jubilee for Bavaria on 4th November and Fachtagung and official opening of the building after reconstruction a week later (9th-11th November). Two weeks ago I went to two cities from my to-visit list, Aachen and Trier. 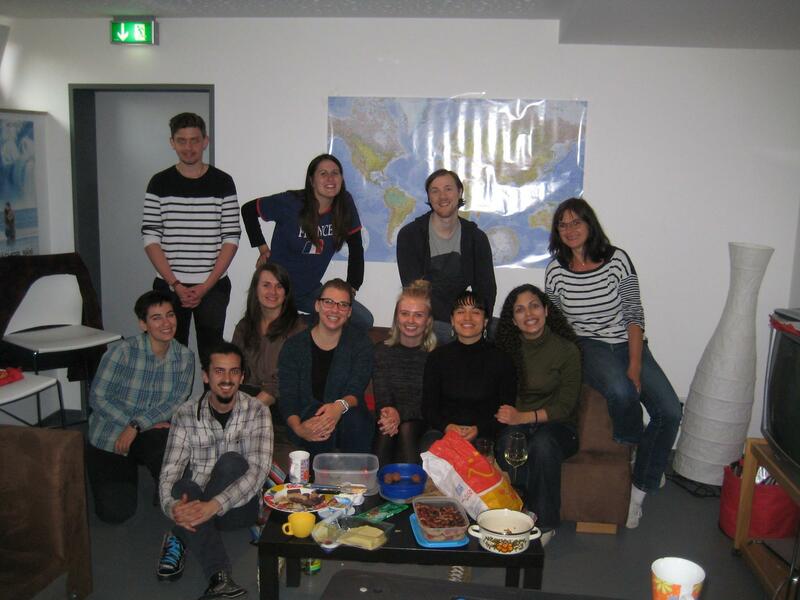 More or less once every month we, the volunteers in Würzburg and Unterfranken, meet for some activities and to spend time together. Nastka and Manu organize these meetings to help us to get to know each other and to make everyone feel welcomed: some of the volunteers live in small towns or villages, far from others. 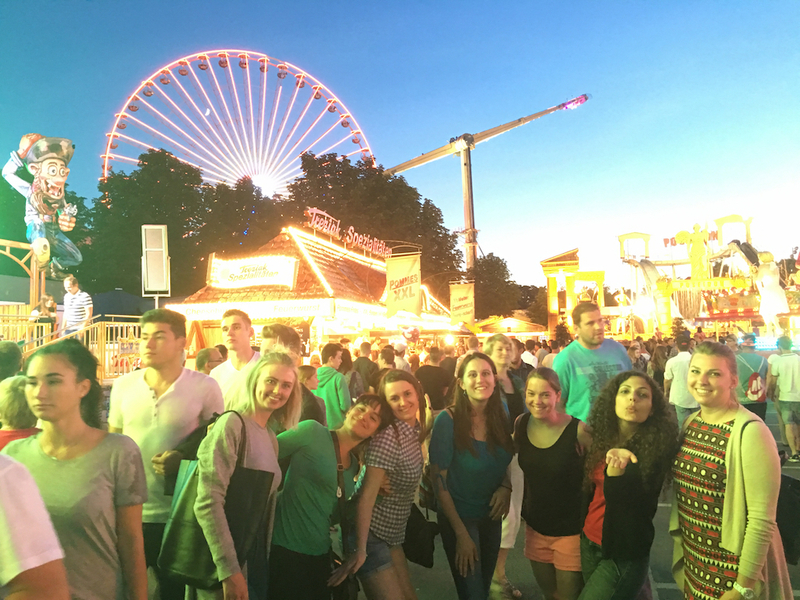 Last Saturday we scheduled our last picnic in Wuerzburg. Unfortunately due bad weather we changed the meeting and postpone it for the next day. 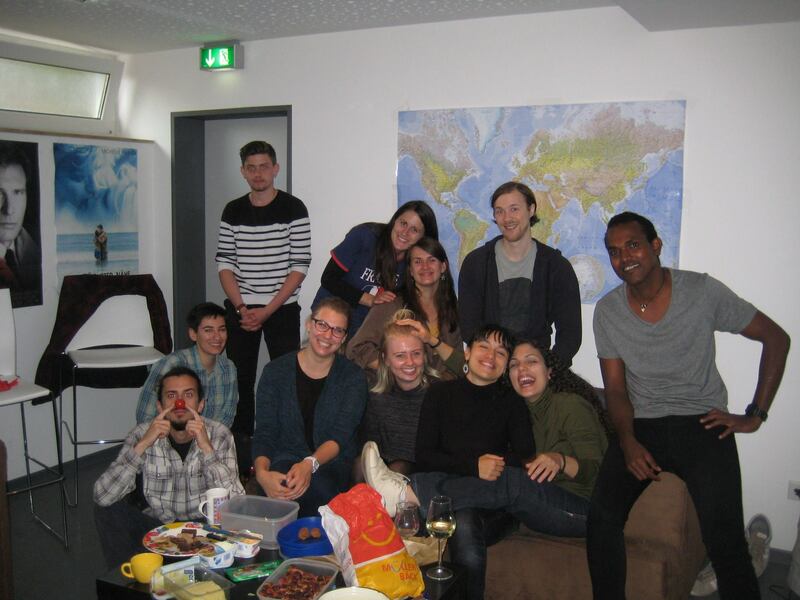 Weather still did not changed so on Sunday at 5 PM we have met in Konstantina’s base and had a small party. As always it was a great fun with good food.